While electric and hybrid vehicles are becoming more popular, the fact remains: Most of us still rely on ol’ fashioned gasoline to power our jalopies. Fortunately for us, the cost of filling up our tanks could drop to as low as $2.50 per gallon by late fall, according to analyst Philip Verleger. The price plummet comes amid expectations that Saudi Arabia, the world’s leading oil producer, will over-produce oil between now and November, as well as an economic slow-down in Europe. 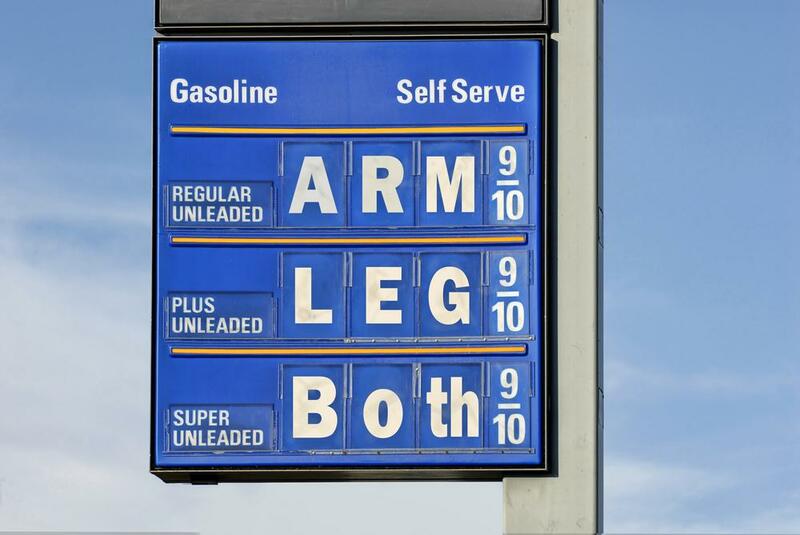 In fact, gas prices have already begun to fall. In your author’s home region of upstate New York, for example, the average price for a gallon of Regular gas has dropped approximately $0.27 over the past month, according to the AAA Daily Fuel Gauge Report. The downward trend has been felt in areas around the country, with the average US gas price clocking in at around $3.52 per gallon — a significant drop from an average high of about $3.94 a gallon in April. While any driver surely welcomes a break at the pump, the reason for the drop in fuel prices isn’t a good one. Thanks to newfound economic struggles in the European Union, the demand for oil has dropped, thus pushing down the price of oil to an eight-month low of about $78 per barrel. A weaker global economy means fewer new jobs. And fewer jobs means less money to pay for gas (among other things). So while we may all celebrate paying less to get from here to there, so too may we suffer from further economic woes. “Until a permanent solution is found to the eurozone’s problems, the global economy is likely to muddle through this crisis for a considerable while, and persistent bouts of risk aversion are likely to haunt the oil markets, making any sustained upside difficult,” one Barclays Bank analyst told BusinessWeek. Of course, despite what many Americans believe, the price of crude oil and the price of gasoline are not directly linked — yes, gasoline comes from oil, but a drop in the price of oil per barrel does not necessarily translate into a drop in gasoline prices. Sometimes they coincide, yes, but it’s not as simple as some might think. Regardless of the reasons — and consequences — of cheaper fuel, we’re certain that any drop on the gas station sign will come as a welcome change.